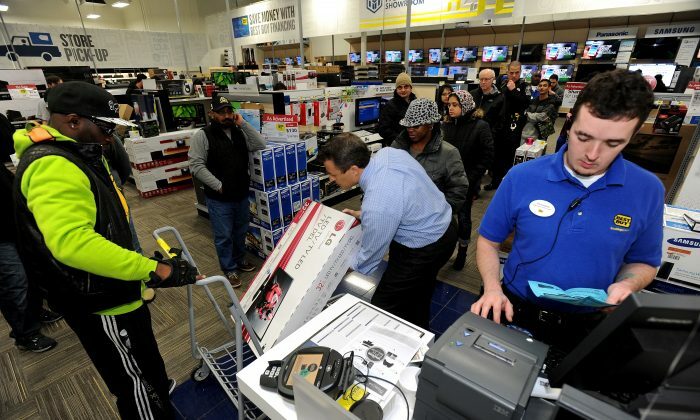 With Christmas on Wednesday, many shoppers are looking to find last-minute gifts. And for most major stores, they’ll be open on Christmas Eve, but many won’t be on Christmas Day. Barnes & Noble: 8 a.m. to 6 p.m. on Christmas Eve but closed on Christmas Day. IKEA: Open from 10 a.m. to 4 p.m. on Christmas Eve but closed on Christmas. GAP: Closed Christmas Day, open Christmas Eve until 8 p.m.. Check local listings for specific hours, as they vary. Starbucks: Starbucks will be open on Christmas Day and Christmas Eve. Local store hours will vary. Denny’s: The restaurant chain will be open Christmas Day. Hours vary. McDonald’s: A large number of locations are open on Christmas. Hours vary. IHOP: A large number of locations will open on Christmas. Hours vary. On Christmas Eve, a number of banks will be open, including U.S Bank, Capitol One, HSBC, and TD Bank. No major banks are open Christmas.